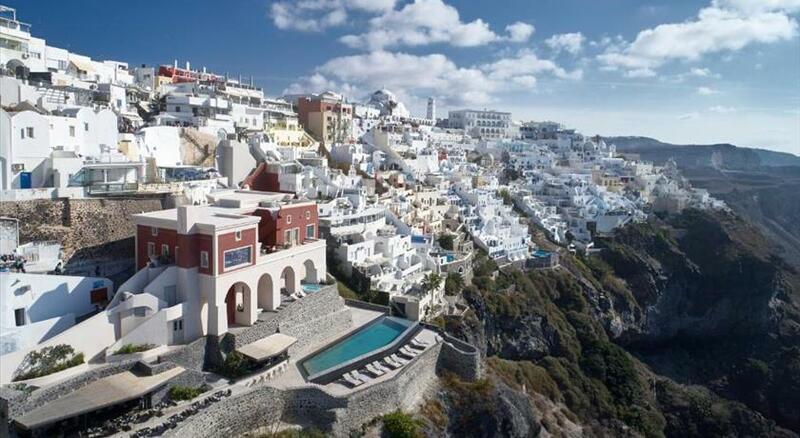 Fira is the beautiful capital of the island and the biggest and most cosmopolitan settlement of Santorini. It is located in the western edge of the island, opposite the volcano and the two volcanic islands, Palaia Kammeni and Nea Kammeni that lie in the sea. Access to Fira, besides the road routes from the port and the airport, is also feasible by cable car or through a donkey path from the port, for those seeking a traditional experience. 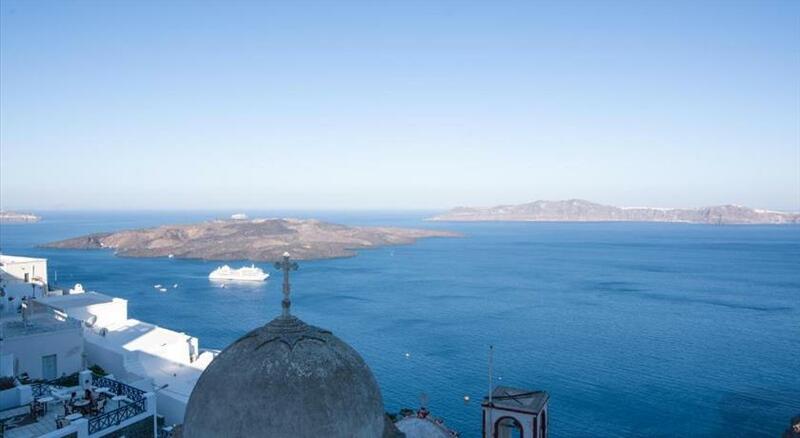 Fira is a combination of natural beauty, social life, night life, and shopping, where you can feel the liveliness of the island and where all the action takes place. What makes it so ravishing is the Caldera view that leaves visitors speechless anytime of the day. A walk to the scenic alleys during the daytime will fill you with harmony, while at night you can find yourself in the middle of a big party. There is a wealth of restaurants, cafes, bars and clubs where you can relax and enjoy the tremendous view or dance and have fun. It actually owns the greatest dining out and entertainment selection of the island and the largest shopping center, too. Moreover, there are many clothes shops, gift shops, souvenir shops, supermarkets and other facilities for every need. Among the wonderful landmarks, the Megaro Gyzi Cultural Center that presents a variety of collections and organizes several cultural events, like concerts and theatrical performances, and the two cathedrals of Fira are worth visiting. 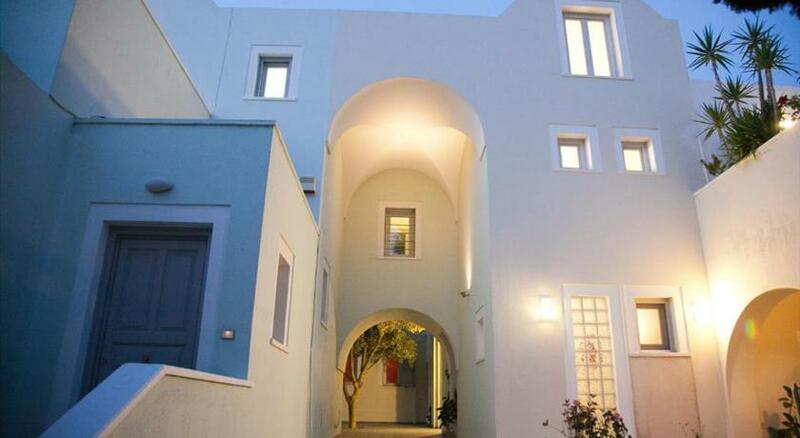 Two of the exceptional museums of Santorini are situated in Fira as well, the Archaeological Museum of Thera and the Museum of Prehistoric Thera, which offer a multitude of relics and historic items from the whole island. In addition, in close distance to Fira, in Kontochori village, there is the Folklore Museum of Emmanuel A. Lignos which holds six rooms-exhibitions that depict the way of life in the 20th century. 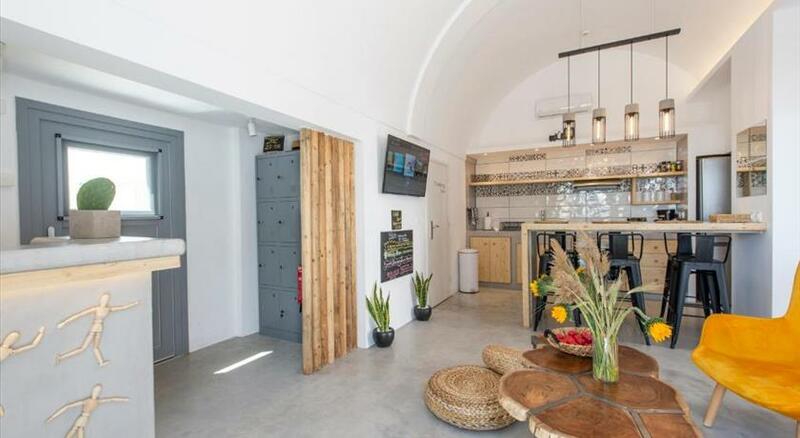 An abundance of accommodation options can be found in the capital of Santorini, from luxurious hotels with an outstanding caldera view to a camping area for an alternative stay that will satisfy nature lovers. See Fira village from the air. Enjoy the view and plan your vacations. From 92 feets above the ground, everything is so peaceful.